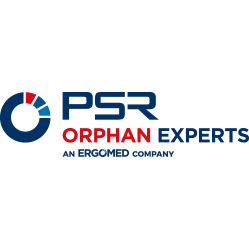 At PSR we are fully committed to true patient centricity in orphan drug development; In line with this principle, we formed a Patient Organisation Advisory Board based on a growing recognition – both within the biopharmaceutical industry and regulatory agencies – that patients need a greater voice in the development of new medicines. Dr Elin Haf Davies (CEO of aparito) is a valued member of this Board. Elin’s vision in founding aparito fits very well with our approach at PSR. Furthermore, we are always looking for tech enabled solutions to improve the patient journey, capture all patient meaningful data and maximize the chances of success in our drug studies. On this basis we are currently developing both partnership and collaborative working opportunities to maximize our contribution to the rare disease community – in which tech will no doubt play a significant role. With this initiative, we wish to further encourage patient centricity in clinical trials.